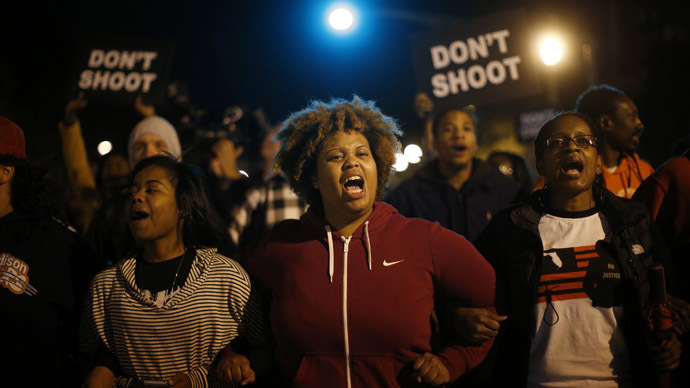 A black teenager, killed by an off-duty police officer in St. Louis, was shot eight times, six of the bullets striking him from behind, an independent autopsy by a famed forensic expert revealed. The autopsy was performed at the request of the victim’s family by Dr. Cyril Wecht, who has previously investigated the deaths of John F. Kennedy, Elvis Presley and JonBenet Ramsey. 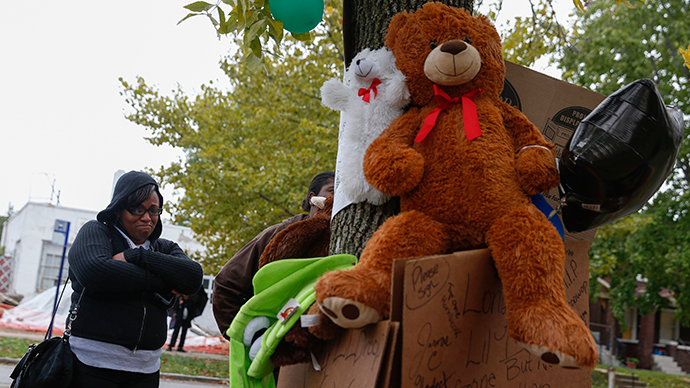 According to Wecht, 18-year-old Vonderrit Myers was shot eight times. Six bullets hit the back of both his legs, one shattered his femur and another struck the side of his head, inflicting a fatal injury. Attorneys for the dead young man’s family believe the autopsy results suggest Myers was running away from the police officer. 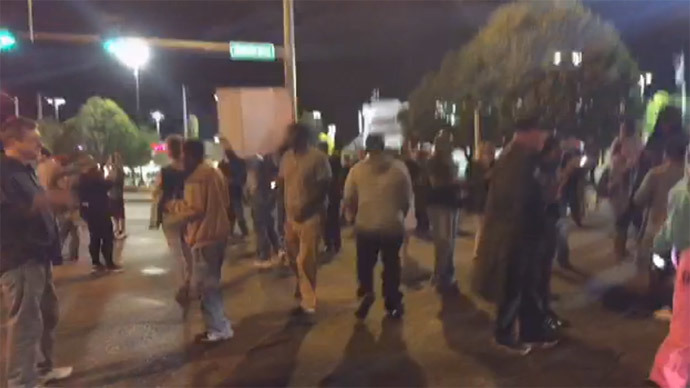 "The evidence shows that the story we've been given by the Police Department does not match up," attorney Jerryl Christmas said, as cited by the AP. "There's no evidence that there was a gun battle going on." Another Myers family lawyer, Jermaine Wooten, said shots the young man received from behind contradicted police allegations that the teen was facing the officer the whole time, the St. Louis American reported. Police earlier said it was the dead teenager who started shooting and fired at least three rounds at the officer, before his gun jammed. The policeman, whose name is not disclosed allegedly fired back 17 times. The police said its forensic analysis revealed the presence of gunpowder residue on Myers’ hands and clothes, which proved he was shooting a gun. The police explanation of what happened did not contradict the findings of the independent autopsy, according to the officer's attorney, Brian Millikan. He insists the policeman was firing at Myers not when he was running away, but when he was lying on his side with a gun in his hand. "He was propped up on his left elbow, and his legs were facing out at the policeman as he went down, but he was still holding the gun and pointing it at the policeman," Millikan said, according to AP. Myers' parents were present at the autopsy results announcement but did not speak to the press afterwards. Earlier they claimed their son did not possess a gun. Wecht received a subpoena to hand over his autopsy report to a grand jury reviewing Myers’ death. An official autopsy by St. Louis Medical Examiner Dr. Michael Graham is not expected for several weeks. A preliminary report on Graham’s autopsy said Myers was shot up to seven times in the lower part of his body and received a fatal shot in his right cheek. 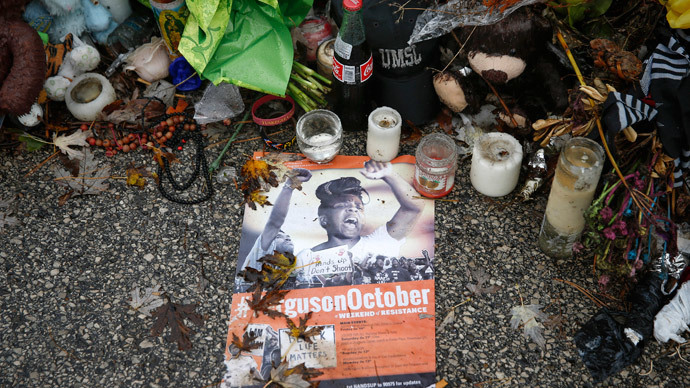 Myers was shot dead October 8, with his death provoking mass protests in St. Louis. 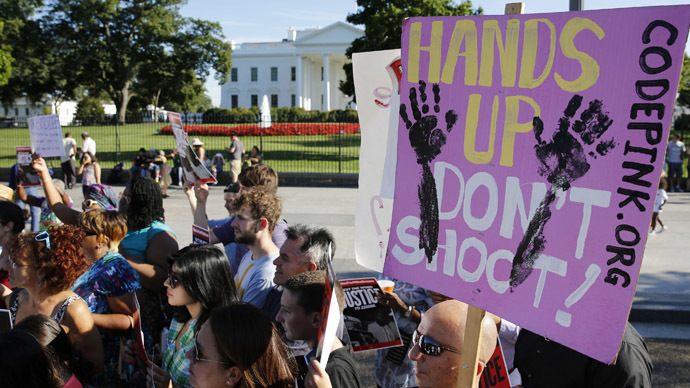 The incident happened just two months after the fatal shooting of Michael Brown, in Ferguson, Missouri, which led to violent clashes between crowds protesting the shooting and police behavior.